Last year after seeing the Burberry trench with leather sleeves, yes this one, I have been on the look out for a jacket with leather sleeves. But more importantly at an affordable price point! This jacket hits all the marks, the burgundy hue is beautiful for fall and I especially love the asymmetrical front detailing. 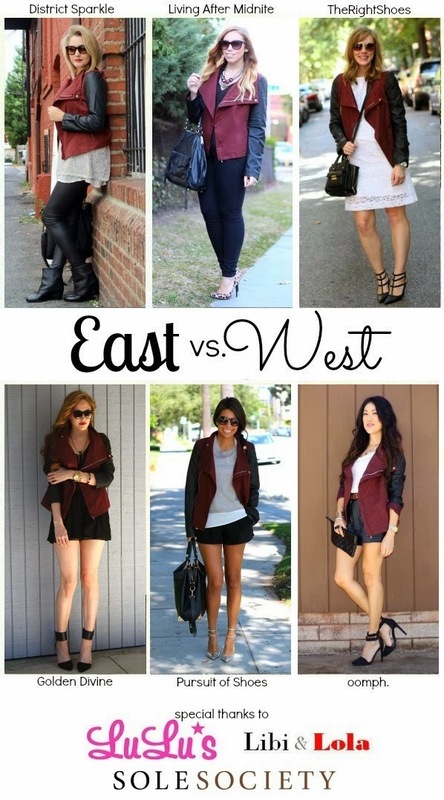 Another East vs. West style series here and this week it's all about the leather detailing this fall. Leather detailing adds just enough edginess and texture to an outfit! See how a few of my favorite bloggers styled their look: Meaghan from District Sparkle, Jackie from Living After Midnight, Tracy from The Right Shoes, Ashley from Pursuit of Shoes and Becks from Rock Oomph. Love the jacket! I got an army green Zara jacket with leather sleeves last winter and I cannot wait to wear it again. It's one of my favorite looks right now. 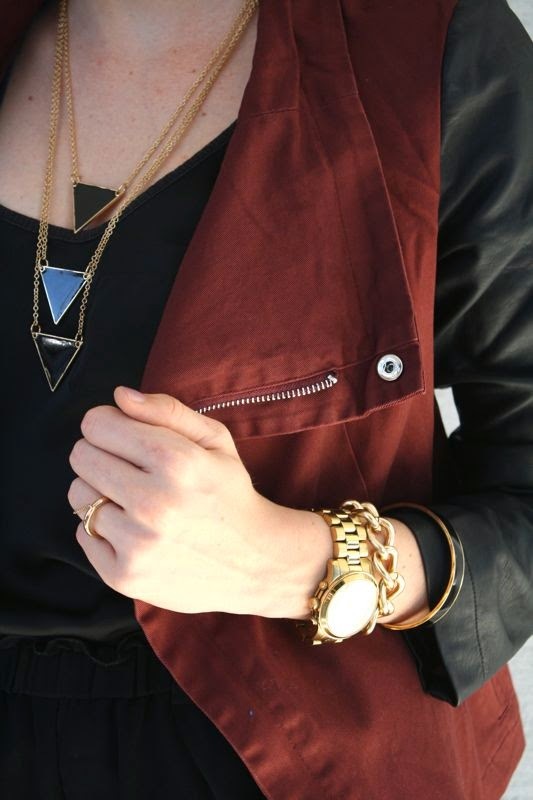 Such a great jacket for fall!